Step up your pancake game by adding toasted coconut and pecans to this basic, no-fail batter! Shortly after we were married, my Mom gave us a non-stick electric griddle for Christmas. At the time, I didn’t realize how much use we’d get out of it, or how much fun making Saturday pancakes would be for our family. For years, we used the pancake recipe out of my Better Homes and Gardens vintage cookbook and would toss in a few chocolate chips for the kids. 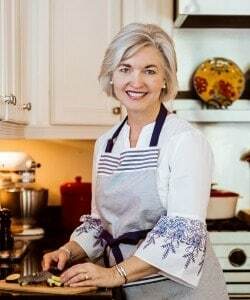 More recently, I’ve ventured out with more sophisticated pancakes, like Coconut Pecan Pancakes with quick, skillet-toasted coconut and pecans served up with maple syrup and a side of bacon. Making this basic pancake batter is super simple. If you don’t have coconut, get creative and try other mix-ins like chocolate chips, peanut butter chips, or even granola! 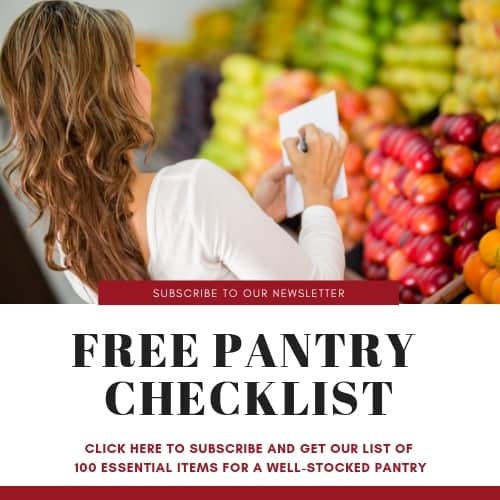 Be brave and get creative in the kitchen! To make the Coconut Pecan version, I tossed a handful of unsweetened coconut into a non-stick skillet over medium heat and stirred it constantly for just a few minutes to quickly get golden, toasted flakes. 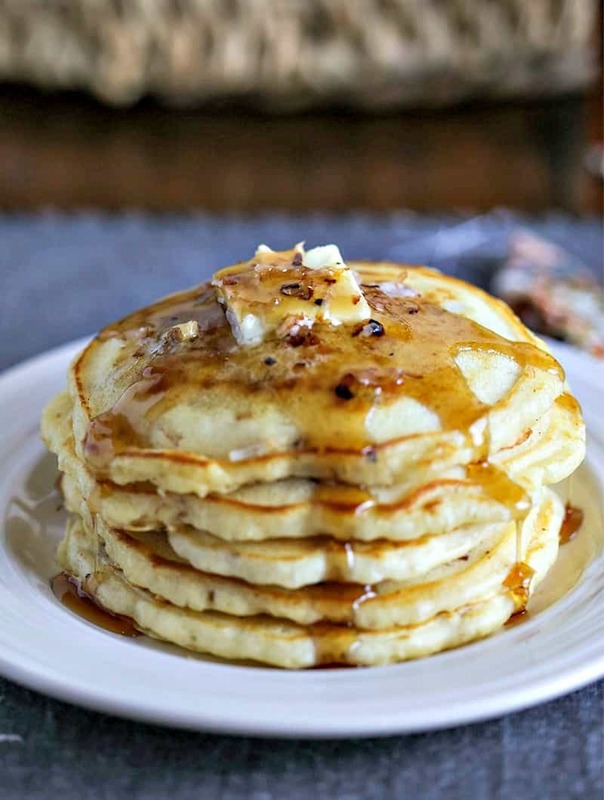 Toasting the coconut gives your pancakes a nice texture and enhances the coconut flavor. Blueberry Coconut Oatmeal Pancakes – Mix up a batch of Blueberry Coconut Oatmeal Pancakes and serve them up with more fresh blueberries and maple syrup for a fun and festive breakfast or brunch. 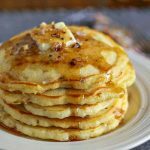 Apple Cinnamon Pancakes – Apple Cinnamon Pancakes, light and fluffy cinnamon spiced pancakes with a maple-flavored apple topping. 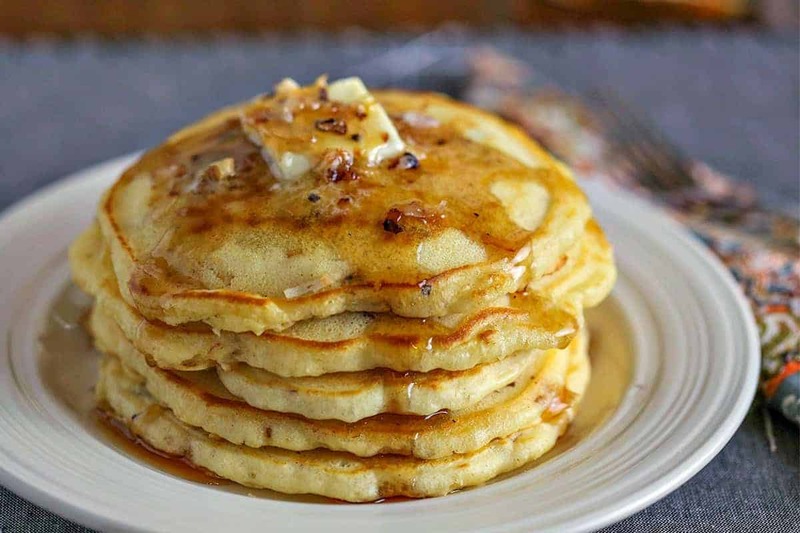 Lemon Poppy Seed Ricotta Pancakes – Weekend mornings sometimes call for a little indulgence and that’s exactly what Lemon Poppy Seed Ricotta Pancakes are – delicious indulgence in every bite! And, why wouldn’t they be? Pumpkin Walnut Flapjacks – Pumpkin Walnut Flapjacks are thick and hearty, full of pumpkin flavor, and are perfect for a special Fall breakfast. Lightly toast coconut in a large non-stick skillet over medium heat, stirring constantly. Remove from heat and let cool. Preheat griddle to 300 degrees, or cook pancakes in a large non-stick skillet over medium low heat. In a large bowl, whisk together the flour, baking powder, and salt. Add eggs, milk, and vanilla extract and stir just until dry ingredients are moistened and some lumps remain. If batter appears too thick, may add more milk (up to 1/2 cup). Gently stir in the melted butter, toasted coconut, and pecans. Place a pat of butter or a small amount of oil on preheated griddle or skillet. Pour about 1/4 cup batter onto griddle for each pancake, cooking in batches. Cook on one side until the tops bubble—about 2-4 minutes—then flip and cook on the other side until golden. 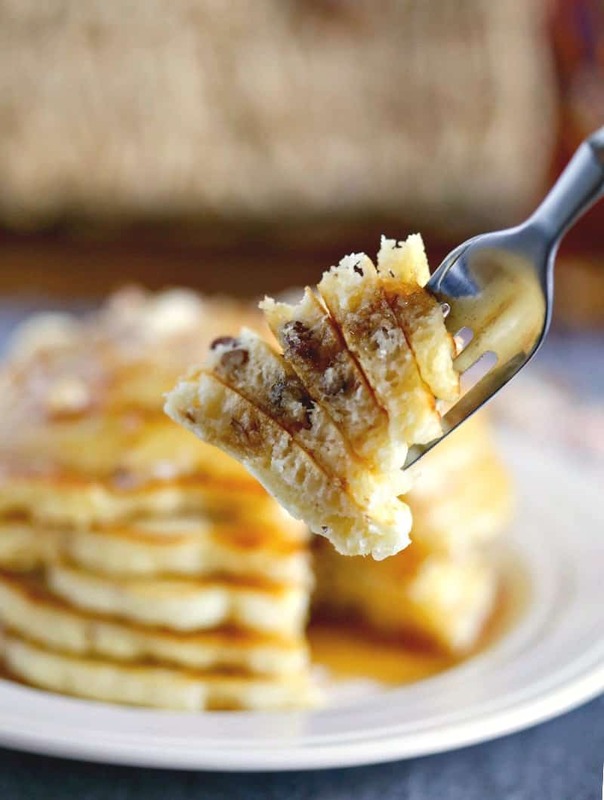 Serve pancakes with maple syrup and garnish with more toasted coconut, if desired.